We are showing a total of 92 discount Fulcrum Road Wheels wheels, with an average saving of 26% across the range. There are savings ranging from £14.00 for the Fulcrum Freehub Body for Racing 0, 1, 3 and XLR Wheels - Campagnolo at Evans Cycles, up to £1213.00 off for the Fulcrum Racing Light XLR Road Wheelset available at Chain Reaction Cycles for £1366.99 and the same percentage saving for the Fulcrum Racing Light XLR Road Wheel Sets from Wiggle at a sale price of £1366.99. The top percentage discount is 50.00% for the Fulcrum Racing Zero Nite C17 700c QR Road Clincher Wheelset Campagnolo (Ex-Demo / Ex-Display) Black - Aluminium at Evans Cycles, giving a saving of £553.74 reducing the price from £1099.99 to £546.25. This level of discount is also available at the following cycle shops: Chain Reaction Cycles, Evans Cycles, Probikekit.com, Wiggle, for example giving a saving of £976.24 off the Fulcrum Fulcrum Racing Speed 35 Tubular 700c Road Wheelset Campagnolo (Ex-Demo / Ex-Display) Black - Carbon at Evans Cycles for a sale price of £1023.75. We've found discounts on 8 wheels and wheelsets for this model, with the price for the Fulcrum Fulcrum Racing Speed 35 Tubular 700c Road Wheelset Campagnolo (Ex-Demo / Ex-Display) Black - Carbon giving the largest reduction at 48% off, available from Evans Cycles and saving £976.24. The saving of around £976.24 is available at more than one retailer. and the top percentage discount is also for this model at Evans Cycles. This level of discount is also available at the following cycle shops: Evans Cycles, for example also giving a saving of £208.0 off the Fulcrum Racing 3 2-Way Fit Tubeless Wheel Sets at Wiggle for a sale price of £391.99. There are discounts available for 37 Fulcrum Racing Quattro and Zero, with the largest reduction being 50% off the Fulcrum Racing Zero Nite C17 700c QR Road Clincher Wheelset Campagnolo (Ex-Demo / Ex-Display) Black - Aluminium. This is available from Evans Cycles at a price of £546.25, saving £553.74. The saving of around £553.74 is available at more than one retailer. and the top percentage discount is also for this model at Evans Cycles. This level of discount is also available at the following cycle shops: Evans Cycles, for example also giving a saving of £365.6 off the Fulcrum Racing Zero C19 Tubeless Disc Brake Wheelset - 6 Bolt - Shimano at Probikekit.com for a sale price of £834.39. There are 16 wheels and wheelsets currently available at discount prices, with the top saving giving 48% off the Fulcrum Fulcrum Racing Speed 35 Tubular 700c Road Wheelset Campagnolo (Ex-Demo / Ex-Display) Black - Carbon at Evans Cycles reducing the price by £976.24. 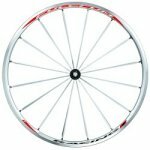 This level of discount is also available at the following cycle shops: Evans Cycles, for example also giving a saving of £101.5 off the Fulcrum Racing 5 C17 Clincher Wheelset - Campagnolo at Probikekit.com for a sale price of £198.49.